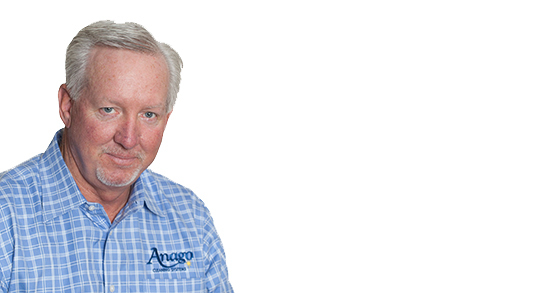 Bill Sole has been an Anago Cleaning Systems master franchisee for nine years. He opened his first franchise in 2005 in the Bay Area of Northern California, and today his commercial cleaning operation consists of 70 unit franchisees servicing more than 350 facilities in the Bay Area. The Anago Cleaning Systems is a commercial cleaning franchise brand that supports more than 35 master franchises and 2,400 unit franchisees throughout the U.S. and internationally. Sole has just become the master franchisee for the Inland Empire area where he will service the counties of Riverside, San Bernardino, and Ontario. His blend of strong business acumen and years of running successful Anago Master Franchises in San Jose and Greater Oakland in the Bay Area have created the foundation to drive new business ventures in this market. One of my key accomplishments has been building a client base of more than 300 facilities in the Bay Area that are being serviced by more than 70 unit franchisees. Every week is different, but most weeks it's Monday through Thursday, 9:00-5:00. Being my own boss allows me the flexibility to control my time in the office and away from the office. My family and I love to travel, and my business allows me the time and opportunity to get away from it all. As an Anago master franchise owner, my role is to primarily sell commercial cleaning contracts to local companies and sell and support unit franchisees. I have an office staff that handles these functions. This allows me the time to work on new marketing strategies and become more active in my community by attending networking events. As my business grows, I'm doing my part to help the economy by adding small businesses and providing jobs and new opportunities. My business motto is to "Work smart. Not hard." For me, the best practice is to train my employees well, and then be hands off as a manager, by delegating responsibility and authority. This has been well-received from many of our new office employees. In today's business landscape, the greatest challenge is keeping up with the phenomenal growth I am experiencing in my business while still maintaining consistent quality across all client accounts. Quick growth is only a good thing for those who can manage it. When it comes to daily operations, I like to be just within arm's reach away. Anago's comprehensive software systems allow me to have complete awareness of all aspects of the business. By being so closely connected, I'm able to make decisions more quickly and efficiently. The only way to fix issues is to set goals, give parameters, and not be afraid to replace if needed. My goal for the remainder of the year is to get my second master franchise up and running and continue to grow my existing territory. I anticipate around 20 percent growth this year. For 2015, I anticipate double-digit growth in both of my master territories, with new franchisees and new commercial cleaning contracts to service. I measure growth by the number of new unit franchisees in my territories, and the growth of each one of their businesses. I anticipate promoting one of my employees to run the day-to-day operations of the office, and retiring to play golf and travel. I was able to use internal capital generated by the business to expand. I offer competitive compensation, with a benefits package including health care. It's important to recognize high-performing employees, which is why I've instituted a bonus incentive for hitting goals and important milestones.